The Edge is a new arts and management building located on the University of Bath’s campus at Claverton Down. 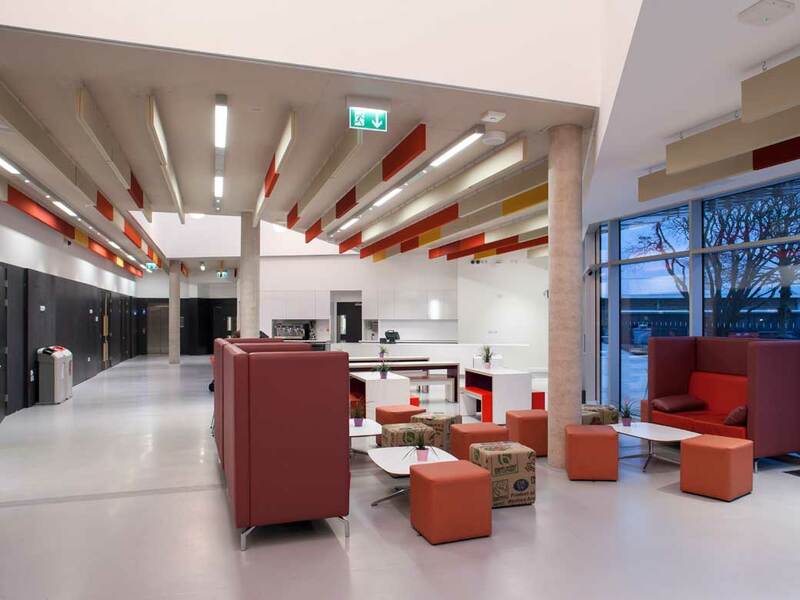 It is the base for the Institute of Contemporary Interdisciplinary Arts (ICIA) and home to the Executive Education Suite from the School of Management, which offers an innovative programme of courses for the University’s business partners. Designed by Feilden Clegg Bradley Studios, the simple, geometric form of the four-storey, aluminium clad building gives The Edge a distinctive presence on campus. 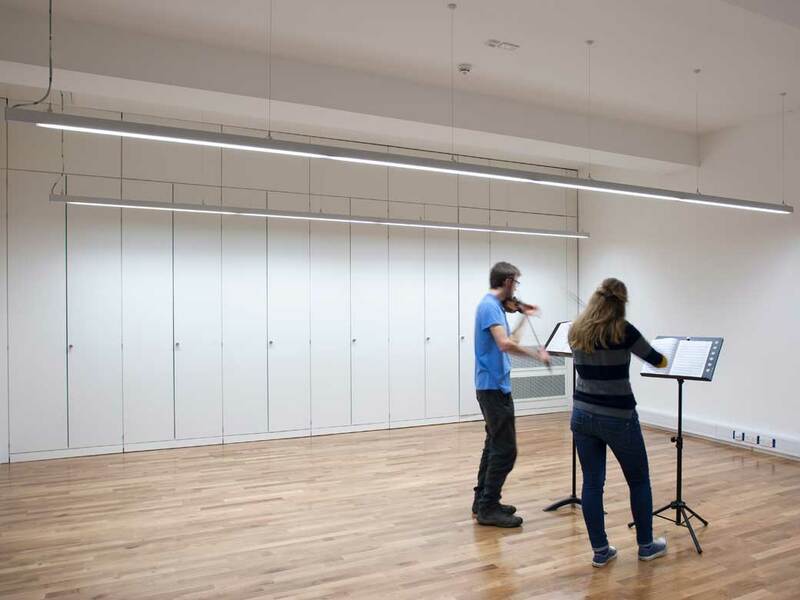 Hoare Lea Lighting designed the lighting solution for all areas, including teaching facilities, the theatre, gallery space and performance studios. On the ground floor, a new entrance foyer connects to the 220-seat theatre. 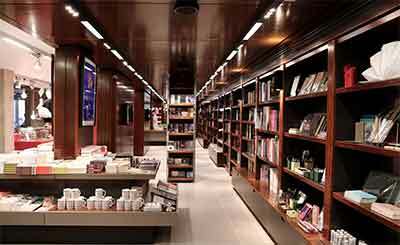 This multi-purpose area opens up to the galleries and incorporates the box office and café, creating a prestigious events space able to accommodate more than 200 people. 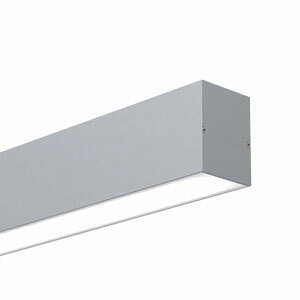 Within the café area, a linear system with integrated spotlights – the Quad from Optelma – complements the clean palette. 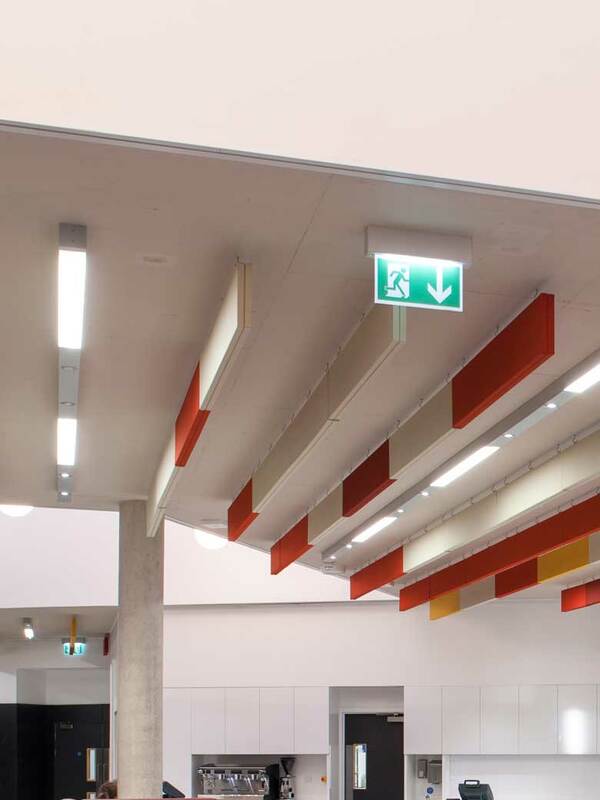 The Foyer is designed to bring together diverse art forms and foster interaction between disciplines – coordination with the acoustic treatments was therefore crucial and the Quad, provides a simple, effective solution. 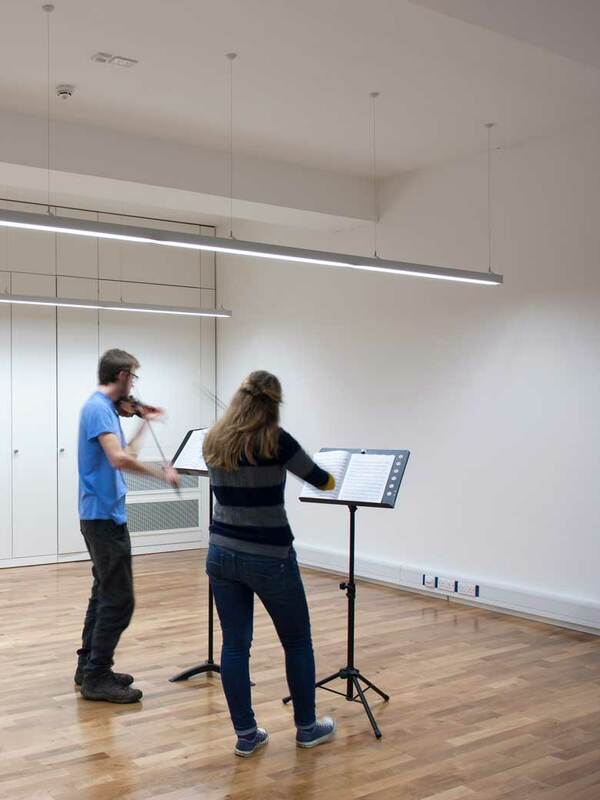 In the development areas on the first floor, the focus is on task-based lighting. 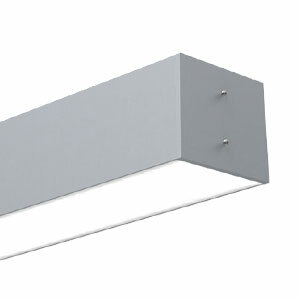 Pendants located over tables provide localised light, while a linear system by Optelma gives general illumination.